Is The Doctor Getting Cancelled? With the BBC deciding to split up series seven of Doctor Who into two halves, some fans are worried that it could be the beginning of the end for our favorite Time Lord’s journey. But before you start lamenting that the series could be gone once the fiftieth anniversary rolls around next year, let’s hear what producer Steven Moffat has to say. “It’s a huge money-spinner. It’s doing better than ever abroad—the global number of people watching Doctor Who has just gone up and up and up. It was the most downloaded show on American iTunes last year, so [there’s] not a chance of the BBC giving up on Doctor Who,” Moffat says. So, those of you worried that the Doctor won’t be around for a bit longer can stop worrying. And Moffat assures fans there’s a good reason for splitting up the episode run. “We’re just splitting it over Christmas, we’re making the same number of episodes as usual. We delayed it a few months to start it later in the year, that’s all that’s happened,” he says. 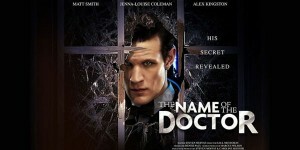 Why yes the Doctor has been cancelled on BBC America. And he has been replaced by 24hour Top Gear. Huzzah! 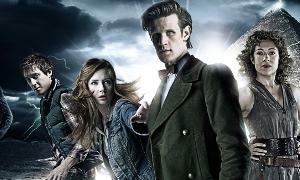 Trust me…when the new episodes of Dr Who come along, BBC America will air them. It’s their highest rated show of all time! Now if only they’d see fit to repeat some classic episodes….